This is the incredible but true story of Thomas Uva and his girlfriend Rose Marie De Toma, who infamously held up several Mafia social clubs in New York City during the trial of mobster John Gotti. In a deliciously written style, and directed with exuberance, this film takes you on the the journey with 2 young lovers who have a whole lot of love, but not too much sense. Still, you can’t help but be drawn to them; if only for their innocence. Thomas and Rose are crackheads who steal to support their habits. When a robbery goes bad and they are both sentenced to prison terms, Rose makes a big change in her life. When she is released from prison she gets a job working at a collection agency, scaring payments from people who owe money. She is ruthless and the boss thinks she’s great. So, when Thomas comes out of jail the boss hires him as well. But Thomas spends more time on the phone telling people how to avoid paying than he does collecting. And he often disappears for hours, looking for something more exciting to do. He finds it when he attends a session of the infamous John Gotti trial. During testimony Sammy the Bull states the address and name of one of the Mafia’s social clubs in Queens. He also states that no guns are allowed in these clubs because “guns and wise guys don’t mix.” This is all that Thomas has been waiting for. He has a plan. Approaching Rose with his idea to rob these clubs he is met with anger as Rose does not want either of them to return to their former ways, which will surely lead them back to jail; or worse. But she is an adrenalin junkie, just like Thomas; high on the fear and excitement that comes with it. The first robbery goes well; and so does the second. But as the mob is under surveillance at all the social clubs the Feds have them on film by the 3rd job. A reporter who is also covering the John Gotti trial becomes involved and conducts an interview with Rose, during which she divulges enough information about herself and Thomas that the mob is now able to find them if they chose to. But Thomas has found something of real value in the last holdup. He now has a list showing all the members of the Gambino family and their positions in the mob. Armed with this Rose and Thomas actually call the mobsters up and tell them that if anything happens to either one of them the list will be given to the FBI. They have now signed their own death warrants. The reporter asks the Feds to protect them, but to the FBI the two lovers are casualties; just collateral damage. The reporter offers them airline tickets to Mexico, but the two refuse, actually believing they are invincible. They were killed on December 24, 1992. 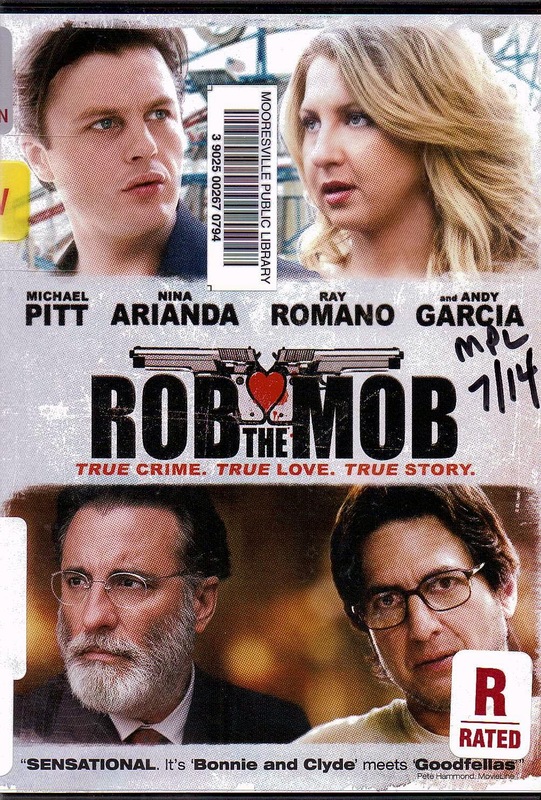 Featuring excellent acting by everyone; with Ray Romano as the reporter; Cathy Moriarty as Thomas’ beleaguered Mom, Michael Pitt as Tommy Uva; and Nina Arianda as Rose; the film also sports a sharply written script by Jonathan Fernandez.